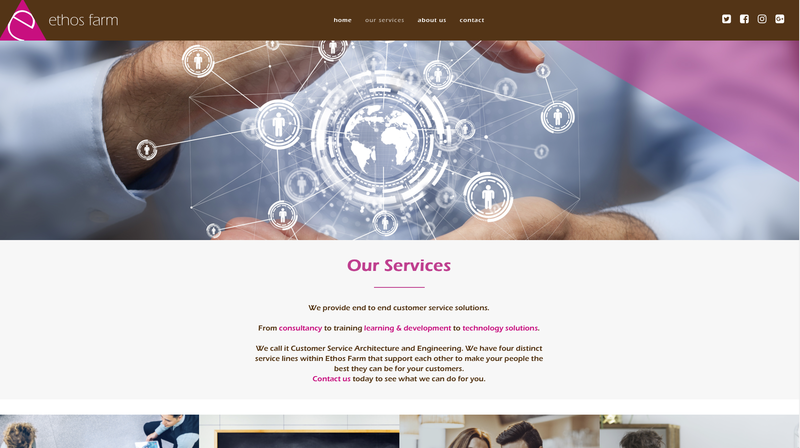 Ethos Farm works with companies to improve their methods and ways of working through consultancy, learning and development and technology services for a better customer experience. 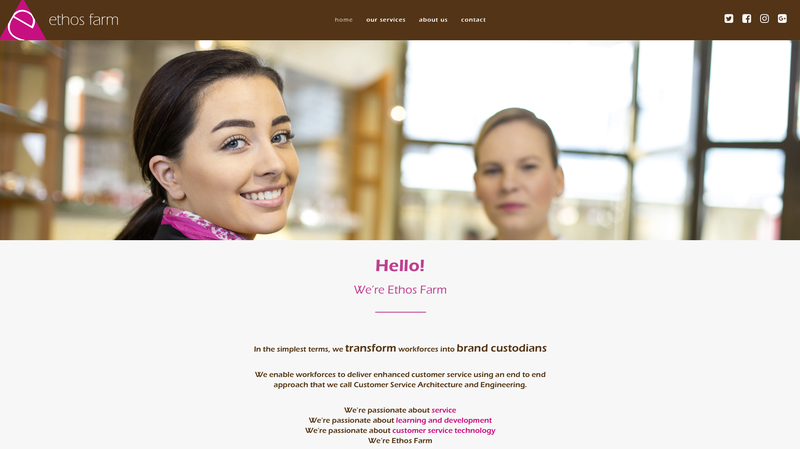 Ethos Farm wanted a new website that would be informative, inviting and easy to use with a simple to structure allowing potential clients to find what they need, fast. 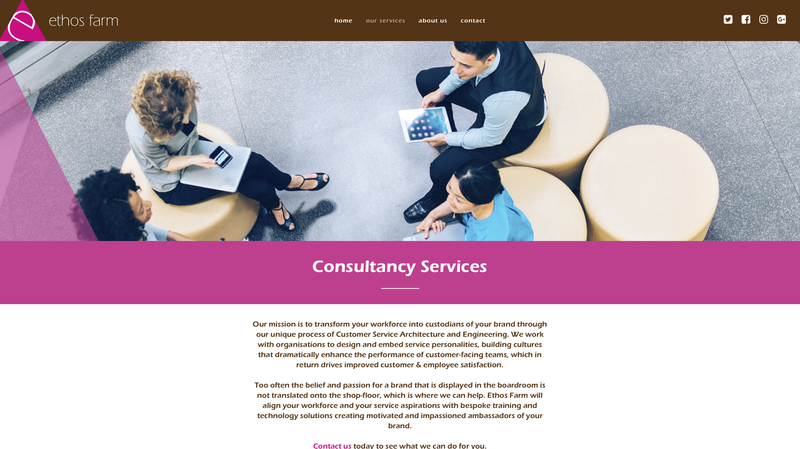 For the website design, we used the clean, geometric styling and the vivid colour scheme of the logo as a key reference point. 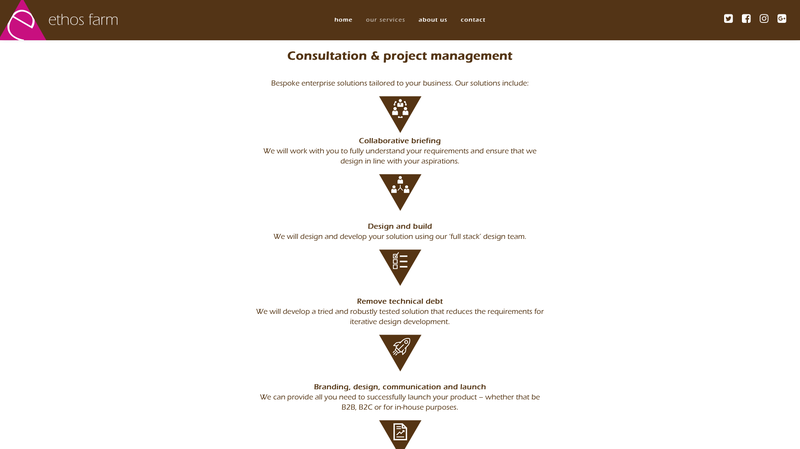 On the homepage, we made the services offered by Ethos Farm accessible via four colour-coded sections which introduce each one and contain a ‘Find out more’ click through to a service page, which expands on that particular area of their business. 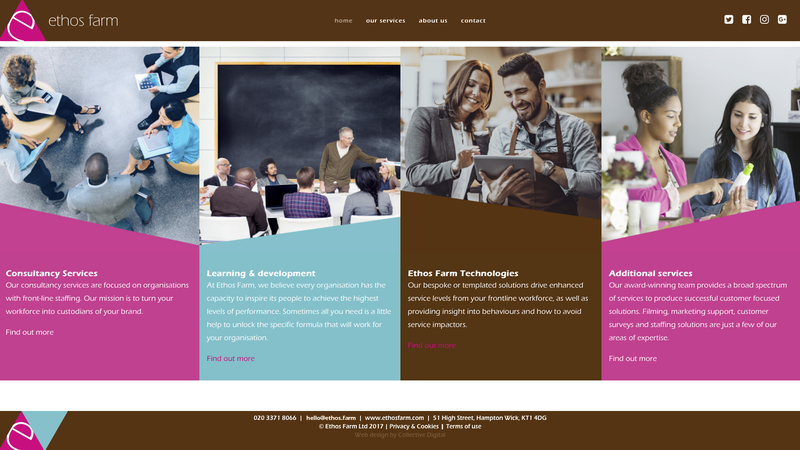 Each service page is also available via the top navigation menu under the ‘Our Services’ drop-down and includes an overview page which, again, presents the colour-coded blocks with an introduction to each of Ethos Farm’s service areas. The homepage provides the usual links out to the company’s social profiles in the main header but also features a live Instagram wall which updates as soon as there is activity on the Ethos Farm account. 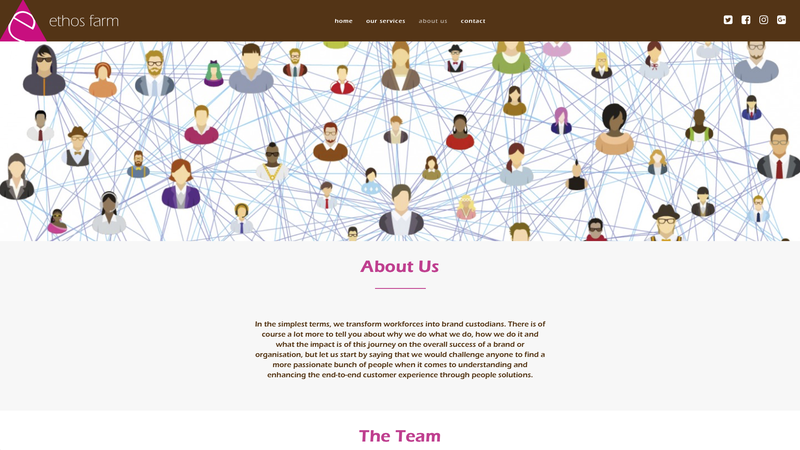 A separate ‘About Us’ page offers a history of the company and background on each team member, along with photographs. 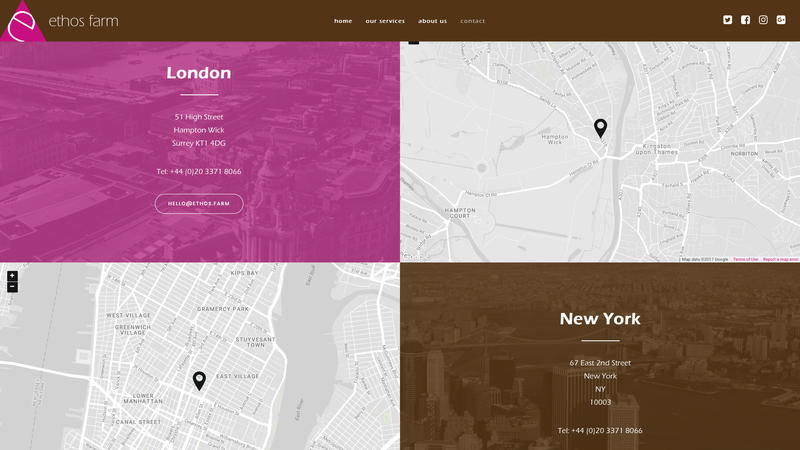 A contact page, also easily accessible via the top navigation, gives details of both the London and New York office addresses along with a simple enquiry form, encouraging users to get in touch.